We source Medicinal Herbs locally but also from many other parts of the world; North and South America, Europe, Africa, the Middle and Far East, but only those of the highest quality and therapeutic action are acceptable to us. We stock and process over 130 individual plant stocks on site into Herbal tinctures from which our liquid prescriptions are then individually made up. This in addition to some Fluid Extracts which we source externally and Tablets, Creams and other Medicines which we produce by different processes. There are over 450 Herbal Remedies available to our dispensary. Most of these are made up to Hydes Original prescriptions which our Medical Herbalists have tried and tested over many years. We can only illustrate some of the more commonly recognised Medicinal Herbs below but will be happy to discuss our Herbs with any interested patient. If you have heard of a particular Medicinal Herb or Herbal application then why not call us and we will discuss how we use that herb or if not what we would do differently for that Medical Condition. This medicinal herb has an extremely bitter taste and helps to stimulate digestion. It is used in dyspepsia, helping to prevent belching and it aids an efficient digestion of fats. Gentian is an excellent tonic and stimulates appetite. Useful in anorexia and depleted states. This European herb, although medicinally valuable, can be a nuisance in our gardens! Equisetum is useful for stress incontinence and to control urinary flow, especially for those troubled with frequent toilet trips at night. It is used for cystitis, prostate disease and inflammation of the urethra. It helps to reduce bleeding in the urinary system and can help bed-wetting problems. This medicinal herb has a remarkable range of properties considering that it is often thought of as a culinary item. Thymus is prescribed (in proper medicinal dosage) for bronchitis, whooping cough, asthma, indigestion, catarrh and in creams for cuts, arthritis and sciatica. As a wonderful gargle it will relieve tonsillitis and sore throats. 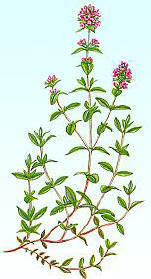 Thymus is used for children’s diarrhoea and bed-wetting. A Native British shrub, this medicinal herb, produces wonderful deep red fruits, crowned by the characteristic five reflexed calyx tips. These fruits are remarkable. They are cardiaotonic, vasodilatory and mycardiotrophic. In other words, the vital blood vessels bringing blood to the heart muscle, are relaxed, widened and as more oxygen reaches the heart, the beat is strengthened. At the same time there is a lowering of blood pressure which reduces cardiac stress further. A gentle increase in diastole (the resting phase) reduces irregularities of the beat, reducing the tendency to palpitations. A native British medicinal herb. This herb is effective at dissolving urinary stones, in the kidney or the bladder. It helps with painful urination and acts as a diuretic, helping to get rid of excess water in the body. It also has a protective element, which helps to repair and restore the bladder and kidney damaged by stones and urinary deposits. Whilst dissolving harmful deposits, Aphanes will gently soothe the lining tissue of the ureters, bladder and urethra, because it is demulcent. The mild diuresis dilutes acidity and helps flush the urinary system. During this process the patient is advised to maintain an increased fluid intake. An extremely effective medicinal herb for boosting immunity against the common cold and influenza. It has antiseptic and anti-viral properties and is known to shorten the duration and severity of colds. It is a powerful wound- healing agent and is often used for ulcers, bites and cuts. Exciting recent research has shown Echinacea to increase the white blood cell count, and so increase immune response and general resistance. Other studies have indicated that it has anti-parasitic, anti-microbial, anti-bacterial and even anti-tumour properties. One of our much loved garden plants, with its vivid orange flowers, this medicinal herb offers anti-inflammatory properties, is able to help stop bleeding and has antiseptic actions. It is particularly useful in chronic and immune conditions, such as Chronic Fatigue Syndrome. It is used for duodenal ulcers, painful periods, eczema, haemorrhoids and varicose veins. 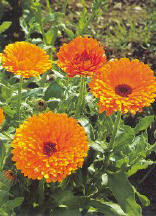 Calendula is, par-excellence, a HEALING herb. It promotes cell regeneration, speeds all wound-healing, encourages endothelial budding and aids granulation. Useful as an external application in leg ulcers, wounds, used to treat M.R.S.A (Methycillin Resistant Staphylococcus Aureus), with Echinacea. 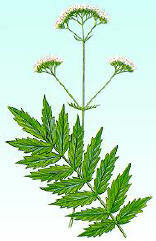 Valerian is an essential medicinal herb, in daily practise at HYDES. 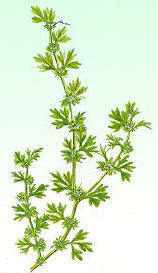 It helps in many conditions; it is a nervine (feeding and relaxing nerves) and if used in high doses can be a sedative. It is used for colic pain, migraine, stress, anxiety, panic-attacks, tension, irritability, aggression, adrenal excess, insomnia, nervous excitability, indigestion and also lowers blood pressure. It is soothing, calming, relaxing and helps you to “unwind”. This tree has a very important place in the herbal dispensary. It contains an aspirin-like substance (salicin) that does not damage the stomach or gut. It has excellent anti-inflammatory properties and is used for pain relief in muscular and joint rheumatism, gout, arthritis, rheumatoid arthritis, sacroiliac and other joint conditions. It is also used for the relief of colds and ‘flu. “Nature’s Aspirin” is gently effective without the side-effects of normal aspirin. This popular plant and flower with its unmistakable aroma and deep bluish-violet colour also has a place in the Clinic’s pharmacy. It helps with digestion, dyspepsia, wind, colic, rheumatic pain and as an anti-depressant. 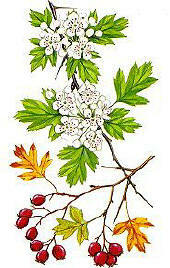 It is also used in liniment and creams for rheumatic pain and muscle and nerve pain and prevents spasms of the muscles. Lavender is soothing, relaxing and helps restful, refreshing sleep. It is wonderful for depressive headaches being used in conjunction with Cypripedium Pubescens and/or Tanacetum Parthenium to relieve migraine.